A little busy recently so the posting on the blog had ground to a halt. Have had a few decent days though. 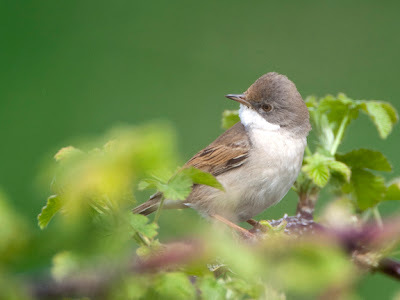 Couple of weekends back we had a fine old time on the patch, a total white-out. Saturday arrived with gorgeous weather, temperatures well up on the seasonal average. Winds favourable for a spot of migration too. I got a cracking start with 2 Yellow Wags in a paddock by Leasowe Lighthouse, but it was the Whites that took centre stage. Reports of 500 of them on the beach by Red Rocks. Wow, huge! I can't make it down there on the Saturday so its the second weekend day that sees me out on their (wag)tail. It's a leisurely stroll with Mrs DeeBirder so I'm travelling light. No camera. Mistake, could have got a hat-full of cracking shots! Oh well. It was enough to just share the shore with the birds. There were some beautiful Wheatears on the salt marsh too, but the White Wags stole the show, slightly fewer than the previous day, but still loads. I estimate around 300. Pale chalky grey uppers with a jet black disc on the breast as dark as the darkest black hole in the universe. Such a contrast with the big white face. Stunning! They resembled a feeding flock of waders on the sand, hoovering up thousands of tiny sandflies that were emerging into the warm sun. Dipteran snacks for the journey north. 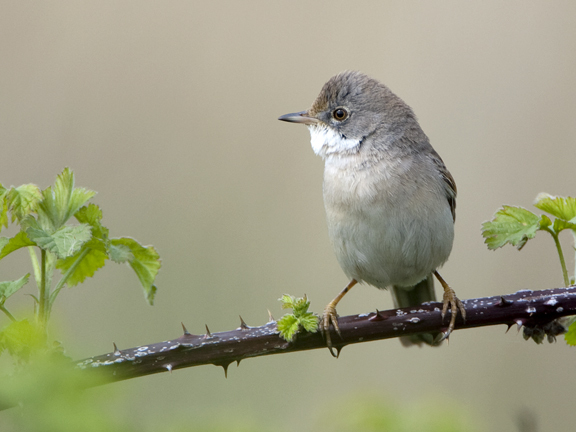 The white theme continued as I came across my first Common Whitethroat of the year. As far as I know it was the first spotted on the patch too. 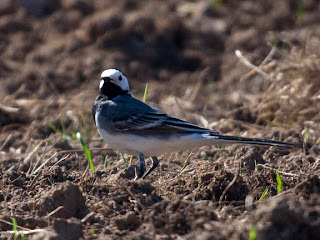 It dropped in as I was hunkered down in a ditch trying to get some shots of the White Wags. It skulked around in the scrubby undergrowth, every now and then it gave a buzzy sort of call, no song or displaying. I really think it had been zooming along overhead and fancied a rest or a snack. It simply dropped in from a great height and stayed put in the same area for as long as I was there. It didn't show itself properly at all so the 2 shots I got of it were worthless, but served as a record of the time and date of first arrival. I followed this one from a safe distance as he mooched about the brambles, occasionally flying up, calling and cartwheeling back down. He posed regularly on brambles and I got my picture before heading home, chuffed to be back out on the patch!